Odicoat is a clear product that is brushed on. 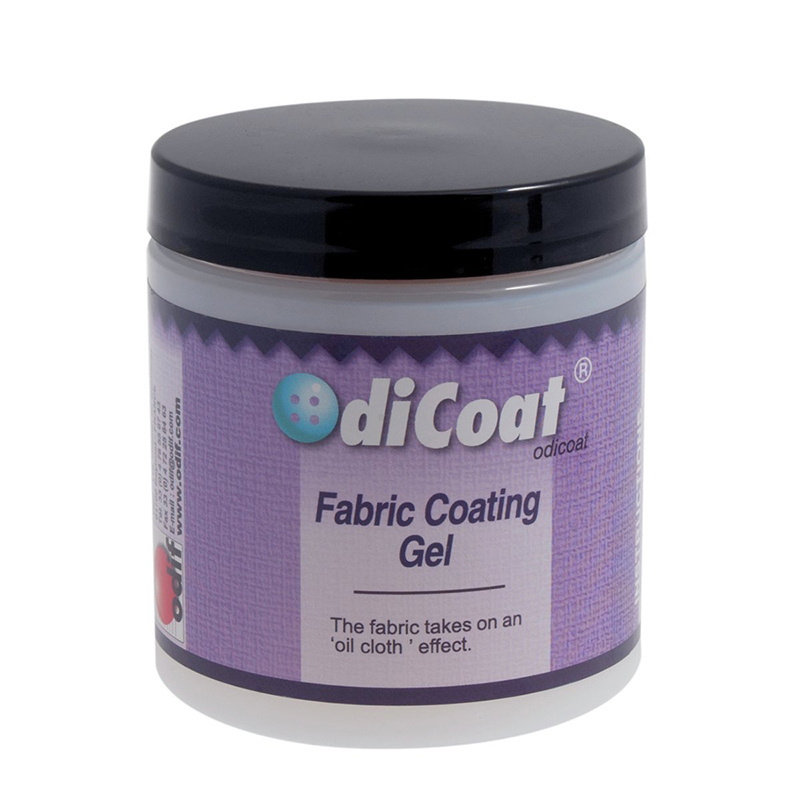 When it dries it creates an oil cloth feel and makes fabric water resistant. You can create a matte finish with 1 coat or glossy finish with 2 or more coats. It is great for table runners, purses, totes, umbrellas and more. Heat set with an iron using parchment paper for a mat finish and a Teflon pressing cloth for a glossier finish.